Join The Wild Tonic Revolution! Wolfgang Puck, Emeril Lagasse, Mario Batali, Kerry Simon. LOCATION 1930 Village Center Circle 3-197 Las Vegas, NV 89134 Phone: (888) 959-7260x101 Email: assets@fbmagazine.com Website: www.fb101.com Publisher - Micheal Politz • Food & Beverage Magazine® is owned and published electronically by Beautiful People LLC. Copyright 19952016 Beautiful People LLC. All rights reserved. Food & Beverage Magazine® and distinctive logo are trademarks owned by Beautiful People LLC. “fb101.com” is a trademark of Beautiful People LLC. No part of this electronic magazine may be reproduced without the written consent of Food & Beverage Magazine. Requests for permission should be directed to: editor@ fb101.com. The information contained has been provided by such individual, event organizers or organizations. The opinion expressed in each article is the opinion of its author, organization or public relation firm. Nor are we afflicated with any other Food&Beverage or Hospitality publication. Articles and Comments are welcome, but they should be on-topic and well-expressed. their fine brew is handled. The idea of mixing a fine scotch in a fancy drink at the bar seems preposterous. This notion is dubbed an act of kindness, yet not too kind to the distillers that have toiled to bring us such a wonderful product. Scotch is a wonderful brew that hit the mainstream of the U.S. in the early 1990’s. Several have considered this type of drink as a personality definer, causing it to grow quickly in popularity. Through Scotch as a drink was also a growing interest in it as a single malt treat. However, there are many different variations that have hit the market in order to please every palette. It has been said that scotch is a nasty old bugger who is drank alone or with one or two close friends and not in the spirit of socializing. However the distillers, and aficionados alike tend to disagree. They feel that the time spent with friends and family, should indeed include the sipping of a fine scotch. A brand-new solution for restaurant growth. RESTAURANT TREND Which Shall We Choose? This Spring, Brockmans Gin is offering a menu of original recipes that resemble a cornucopia of fruits, flowers and vegetables. All the cocktails are easy and quick to create, involving remarkably few ingredients yet creating complex and mouth-watering flavors. GREAT JUICING Guidelines That Are Simple To Follow. HEALTHY BEVERAGE Know What Is Cranberry Juice. MIXOLOGY An d In t ro d u c t i on to b a r te n d i n g.
CHAMPANGE FOUNTAINS These decorative items will look good when they are placed on the center of a table surrounded by many glasses. You will see that the fountain is made from food grade stainless steel. James Beard Foundation Announces Leadership Award Recipients Gail Simmons to Host Leadership Awards Ceremony In Chicago Presented In Association With Deloitte. This report, analyses the current state and future prospects of the leading gluten-free food submarkets, regional markets and national markets to provide a complete industry outlook. New report the Gluten-Free Foods & Beverages Market Forecast & Analysis 2019-2027: Global, Regional & National Forecasts By Type (Bakery & Snacks, Dairy & Dairy Alternatives, Beverages, Meat & Meat Alternatives, Ready Meals, Pasta, Other Gluten Free Foods) Plus Analysis Of Leading Companies indicates that the global gluten-free foods & beverages market will see $5.12b in spending in 2019. The lead analyst of the report said “The increase in the number of people diagnosed with gluten intolerance or celiac disease is the major driving force of the market. In parallel with this, the gluten-free food consumer base is rapidly expanding due to high demand for gluten-free products from nongluten-sensitive buyers who perceive them as healthier and better-for-you. The glutenfree foods & beverages market gives a lot of opportunities for business development in different directions including the fields of fortified & functional food and baby food.“ The report contains 108 tables, charts and graphs that add visual analysis in order to explain developing trends within the glutenfree food & beverages market. With over 1,500+ market data points, visiongain provides forecasts for the period 2019-2027 for the leading submarkets, namely bakery & snacks, dairy & dairy alternatives, beverages, meat & meat alternatives, ready meals, pasta and other gluten free foods globally, and further segmented by region and country. The report offers market forecasts and analysis for 4 regions and 12 leading national markets and the rest of the world market. In addition, the report contains a dedicated leading companies’ chapter covering 15 companies leading the field in gluten-free foods & beverages. The Gluten-Free Foods & Beverages Market Forecast & Analysis 20192027: Global, Regional & National Forecasts By Type (Bakery & Snacks, Dairy & Dairy Alternatives, Beverages, Meat & Meat Alternatives, Ready Meals, Pasta, Other Gluten Free Foods) Plus Analysis Of Leading Companies report will be of value to anyone who wants to better understand the glutenfree foods & beverages market and its various segments. It will be useful for businesses who wish to better comprehend the part of the market they are already involved in, or those wishing to enter or expand into a different regional or technical part of the food industry. “In addition to adding an executive chef to the team and a fresh new menu, the eatery’s vibe-dining concept will bring brunch diners to their feet with cool lounge music and scheduled entertainment,” said Kevin Gouchee, coowner of Seek + Find. Chef Fernandez was raised in Iquitos, Peru, and will bring a unique twist to the alreadydynamic menu. With years of experience, including the Napa Valley Cooking School, San Francisco’s La Mar Cebichería Peruana and Miami’s Pisco y Nazca, Chef Fernandez’s wide-range of talent and creativity have been a staple throughout his entire career and will continue through this new partnership with Seek + Find. Restaurants are under attack; or at least, that’s how it might feel right now. For concepts large and small, the headwinds of rapidly growing delivery demand, increasing labor cost and simultaneous labor shortage, and expensive expansion in a stifling market are understandably a lot to bear. Sales growth is down across the industry (and has been for some time), and the dine-in channel, traditionally the biggest and most profitable slice of revenue, is shrinking. Operators are scrambling for solutions to these issues, but there are few readily available that don’t require major systemic change. All of which is why a group of restaurant people got together to find a new way. A new way to capitalize incrementally on off-premise demand. A new way to operate that doesn’t require a deep pool of labor. A new way to expand that costs exponentially less than a traditional brick-andstick build; while preserving the quality of any high-grade restaurant kitchen. And while that is three things, they are, collectively, a single “new way.” Call it what you want: a “ghost kitchen,” a “virtual restaurant,” a “dark delivery concept” (a novel phrase), but at Kitchen United, we just call our solution a “restaurant.” The (Off) Premise “Kitchen United provides restaurants a turnkey solution to accelerate growth and offload off-premise preparation and pickup,” is what we say we do. More specifically, Kitchen United builds lots of kitchens in large buildings within strategically located trade areas with high off-premise demand. We curate a selection of restaurants that cater to that demand and move them into the kitchens, and then we support those restaurants as they open and operate an entirely off-premise concept. In short: lots of restaurants operating independently under one Kitchen United roof, all to-go. As for how we solve those great, big issues? Delivery Here’s the big question: is delivery a problem or an opportunity? The answer hinges on the concept of incremental versus non-incremental. For a national chain, non-incremental delivery sales through a third-party mean paying more for each sale that would otherwise have been in-person. That translates to millions of dollars in lost revenue. For a local restaurant, non-incremental sales means losing what little margin they have now. But incremental means new consumers discovering and ordering who otherwise would not have, or the same consumers eating an additional meal that they otherwise wouldn’t have. It’s new revenue that’s not taking the place of existing revenue. That’s the way delivery works, or can work, for restaurants. 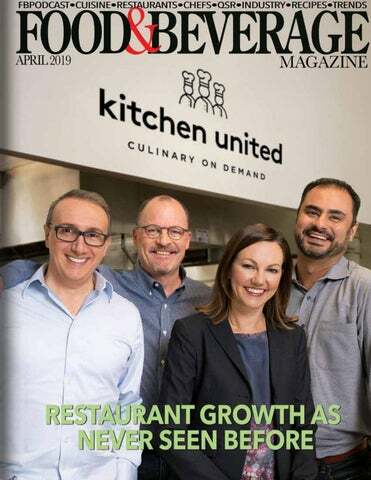 Kitchen United solves delivery disruption to a restaurant in a couple ways, depending on whether a brand wants to utilize a KU restaurant in new markets or current markets. New markets are a simple sell, as they’re all new consumers and there’s no cannibalization -- it’s all incremental. The questions in a new market are whether a dining roomless restaurant can gain traction and recognition in the cluttered third-party marketplaces (Grubhub, DoorDash, etc. ), and whether off-premise-only AUV can support a standalone concept. That’s why for the former, KU has an expert, digital-first marketing team to support a restaurant member’s existing marketing efforts, and provide best-practice advice to attract the digitally-native off-premise diner. For the latter, see the Expansion section. But KU’s solution for delivery also works in a restaurant’s current markets. A member’s kitchen at Kitchen United can take on the excess delivery traffic that disrupts that member’s nearby brick-and-mortar operations; e.g. drivers waiting in lobbies interrupting the dine-in experience, backed-up dine-in tickets during high traffic hours, slow pickup times as drivers circle the restaurant for parking. Having a dedicated off-premise restaurant means improving product and experience quality for both dine-in and at-home consumers, decreasing the operational clutter at brick-and-mortars and providing faster, hotter food for delivery customers. Labor The minimum wage is rising and the labor pool is shrinking, and both make life difficult for restaurants. But what if you could open a restaurant with only a staff of two cooks? In a Kitchen United facility, back of house labor is provided by KU and shared between restaurants – cleaning, maintenance, delivery receiving, food-running from back to front of house – everything except cooking the food. The pick-up center, where drivers and consumers collect their food, is also staffed by KU personnel. This leaves a restaurant to provide cooks for the kitchen, and that’s it. Which Restaurants Shall We Visit This Time Around? Traveling to a town you haven’t been to before? Want to make it a memorable experience? Whether it is new to you or not, it is a good idea to try out some new restaurants while you are vacationing. hen visiting an area on vacation, it is often the case to take in as many local restaurants and local favorites as you possibly can. Of course, where does one begin when trying to make the decision about where to go? There are so many places to dine and only so many meals you can possibly eat. So, what’s an eager vacationer with a healthy appetite to do? Plan a little, make some unexpected discoveries, and eat a lot! You only have a short amount of time and perhaps a limited budget. You will want to make your experience as enjoyable as possible, so keeping your options open will make for a more adventurous journey. Be sure to make time to visit the restaurants that you know are the best or are old favorites. Everyone has those; when you visit a place often you start to accumulate a list of must- dos. Most travelers enjoy going back to all their favorite haunts and revisiting their last experiences. It makes the town you are visiting feel like a second home when you do this. And, it is lovely to see a restaurant in a different season or to order your favorite fare when you get there. Or, to see what kinds of seasonal offerings they have going on. For instance, in the late summer or early fall, you can get the best fresh tomato dishes that would not be available in other seasons. Of course, yearly or seasonal visits to certain locales offer a chance to go back to a couple of favorite restaurants. But don’t forget to make some new discoveries every time you visit a favored place. Sometimes it is important to put aside those old favorites and seek out the new restaurants that may just become the new must-haves. Where do you find these new favorites? Well, knowing what you like to eat is a good place to begin. Even restaurants that serve “bar type food” can be as different as night and day. Taking the advice of the locals is usually your best bet when you want to find that perfect place to dine. Think about what kind of experience you are after. Do you want just a quick bite to eat, so you can get back to your adventures, or do you want the food to be the adventure? Perhaps it is a bit of both. That balance can make for a very big adventure. Mixing up your options when it comes to dining can be a very good idea indeed. Going to one place for some appetizers and drinks and then to another for the main course can be a great way to sample not only the food, but the atmosphere as well. After all, traveling is about getting away from the norm. You don’t want to come home after your travels and think that you might have missed out on something. Guidelines That Are Simple To Follow When it comes to juicing, what are the best methods available? This may be a question that both you and others ask when it comes to this healthy hobby. Follow the advice that is provided in this article and you will be able to answer the question for others and put the information from Kitchen Folks to good use with your own experiences. When preparing a healthy juice, select a deep green vegetable to serve as your juice’s foundation. The juice should be at least 75 percent broccoli, chard, or spinach. Include some apple or another tasty ingredient to make the remaining percentage taste delicious. Do not forget to remove hard pits from fruits like peaches and cherries before sending them down the juicer. These pits can wreck your juicers blades turning your happy purchase into a giant paperweight. Don’t get into such a flow in your juicing that you forget to make the fruits safe for juicing. Bananas and papayas do not seem to do well in a best masticating juicer. You can still use them with juice, but it is best to stick them in a blender. They are thick and tend to work better when making fruit smoothies or any type of frozen dessert that you make. Beware of too much oxalic acid. If you have a history of kidney stones, gout, osteoporosis or rheumatoid arthritis you will aggravate your side effects. Nourishment to stay away from are spinach, chard, beets, and rhubarb. You also have to remember not to combine them, or tail them with sustenance’s high in calcium, such as broccoli. Buying a masticating juicer will allow the juice you make to have its nutrients break down much slower, which means you can take as much time as is needed in drinking it or even store it for a while. It will also leave as much of the natural nutrients intact as could reasonably be expected, giving you the most healthy juice to drink. Don’t be afraid to juice melon! Cantaloupe and honeydew are very tasty ingredients, but keep in mind that they’re soft and will produce a thick squeeze. Watermelon, then again, will produce a very watery juice. Make sure to get a seedless melon to make it easier for you to use. When it comes to juicing, one thing that you want to keep in mind is that there are certain types of fruits and vegetables that excel when it comes to squeezing. This is vital to consider the goal that you do not waste your time and money. Look to use pineapple, apples, oranges, and carrots for beginning off. In conclusion, it is best to know the tried and true proven methods when it comes to juicing. While experimentation is recommended, there are some basic principals that it is good to at least start out with. The information in this article should clear up any misconceptions that you have had. Keep all the tools you use in juicing, like your cutting board, knives, measuring cups, juicer, etc. together in their own place so you always know where they are. The one reason you won’t proceed juicing is that you’re not keeping your things organized, leaving you feeling frustrated and overwhelmed. The best place to find the freshest produce for juicing at great prices is at a local farmer’s market. Often, they are held once a week during the summer and fall months, and you’ll find everything sold on a farm, including meat, eggs, dairy, baked goods, canned goods, and TONS of fresh fruit and vegetables! Some items just aren’t made for the juicer, especially if they’re soft and mushy. For example, you’ll never be able to make a juice that is mostly banana, but you CAN put a half of a banana in a juice made with other firmer produce. Peaches tend to give the same result. KNOW WHAT IS CRANBERRY JUICE As the sun gets hotter and hotter in this summer, the demand for various tasty energy juices rises. There are various juices, cold drinks available in the market from which we can satisfy our thirstâ&#x20AC;? WHAT IS CRANBERRY? Cranberries are a versatile fruit and their benefits make them useful in food as well as in medicinal products. The Latin name for the cranberry plant is Vaccinium macrocarpon and they are one of the native fruits of North America. Cranberries have a tremendous amount of antioxidant capacity as compared to other vegetables and fruits like broccoli, spinach, and apples. One cup of cranberries measures a total 8983 antioxidant capacity. The health benefits of cranberry juice include relief from urinary tract infection (UTI), respiratory disorders, kidney stones, cancer, and heart diseases. It is also beneficial in preventing stomach disorders and diabetes, as well as gum diseases caused by dental plaque. Phytonutrients, which are naturally derived plant compounds, are present in cranberries and have been found to prevent a wide range of health problems. HEALTHY PREGNANCY Because of the high levels of vitamin C cranberry juice is recommended for various conditions. The University Of Maryland suggests that taking vitamin C along with vitamin E may help prevent preeclampsia, a condition associated with high blood pressure and increased protein in a pregnant woman’s urine which can cause premature birth. COMBATS TOOTH DECAY Cranberry juice is also known to prevent tooth decay. Proanthocyanidin, found in cranberries, inhibits the growth of bacteria that cause plaque and prevents the decay of teeth due to development of cavities. Good dental hygiene along with a moderate consumption of cranberry juice disrupts the mechanism of pathogenesis and promotes good dental health. Unsweetened cranberry juice decreases the incidence of the bacteria that are found in the mouth and combats bad breath too. A healthy dose of this juice ensures clean teeth at all times. FIRMS UP THE SKIN Vitamin C in cranberry juice is crucial for the production of hydroxyproline and hydroxylysine, the amino acids which are required for the production of collagen in the body. Collagen helps the blood vessels under the skin carry oxygen and other nutrients which, in turn, soften and firm up the skin and make it look young and radiant. IMPROVE HEART HEALTH One of the best health benefits of cranberry juice is its ability to prevent heart disease. Cranberries contain flavonoids, which help to reduce your risk of heart problems like atherosclerosis, high blood pressure, and high cholesterol. You’ll find that drinking more cranberry juice can help to lower cholesterol levels while preventing plaque from forming on the walls of your arteries. Cranberries also are loaded with salicylic acid, which helps to prevent the clots that cause heart attacks and strokes. If one has no time to prepare cranberry juice than, going for packed juices like Tropicana can be a good option. One can also buy Tropicana cranberry juice online as there are many online grocery shops available for you. With the invention of these shops, one can easily any product and get it home delivered. AN INTRODUCTION TO BARTENDING Setting up your own bar is actually quite easy to do. There are however, a few things that good bartenders need to know to run a bar efficiently. In order for a bar to succeed, you’ll need to have the basic wines, liquors, and spirits - along with the right equipment. Although these things are essential, bartenders also need the proper technique for mixing drinks and cocktails as well. With bartending, the location of the bar is very important. The bar should be placed in an area that is easy to reach and provides plenty of space behind it. There should be plenty of room for glasses and drinks, along with a chair or two as well. The bartender has to learn the area behind the bar, and know everything about it. Bartenders need to know their area well and how to perform their mixing duties when business heats up. Another job bartenders have is knowing their drinks. Bartenders are responsible for serving and mixing drinks, which is a wide variety to say the least. It can be nearly impossible to know every possible drink mixture, why is why most bartenders use mixing lists hidden under the bar to help them know what goes in each drink. Bartenders don’t have a lot of time to mix drinks, which makes it nearly impossible to read each and every label. To help with this dilemma, you can always arrange your alcohol and drinks a certain way, to ensure that you know where everything is. This way, when business picks up and you find yourself short on time - you’ll know where everything is. To become a successful bartender, or mixologist, it takes years of practice. There are several styles of bartending as well, including the well known and very impressive flair style. Flair bartending involves very impressive techniques and tricks, which will leave customers truly amazed. Flair is the hardest style of bartending to perfect, taking years and years of practice. Flair bartenders all around the world will tell you that flair brings the most crowds - although it can also cost a lot of money in broken bottles along the way! Each and every bar should also have the basic spirits, such as Tequila, Vodka, Rum, and Gin. There should be also be fruit juices on hand as well, such as lemon juice, orange juice, and even pineapple juice. Almost all mixed drinks require juice, such as screwdrivers - which require both Vodka and orange juice. Mixed drinks are very popular, making it essential for the bartender to be a good mixologist - and have the right materials on hand at all times. A lot of drinks that bartenders mix will require special gadgets such as shakers, measuring cups, rinsing bowls, and straws. Shakers are the most commonly used gadget, as they are essential for mixing alcohol. Bartenders will also need to keep cloth on hand as well, to quickly clean up spills and wipe down the mixing area from time to time. As a career, bartending can provide you with a lot of money. If you go to college and learn the techniques required for bartending, you can make more money than you ever thought possible. The job is high paying, a lot of fun, and a great way to meet new people. There are a lot of colleges and universities that offer bartending￼ , or you can study online. No matter which way you go - bartending will be a lot of fun and will take you far in life as an exciting career. CUISINE Non-veg dishes are popular across people of all age groups. But people have a tough time choosing nutritious non veg recipes. This article discusses in detail about the different nonvegetarian dishes which you can prepare at home and bring a bright smile to the faces of your loved ones. There are many of us who have a perception that a hearty meal means a meaty affair. There are a plethora of non-vegetarian dishes which you can cook at home to make a day special for yourself and your loved ones. Within the Indian subcontinent, there are unique preparations which you can prepare at home starting from Amritsari Fish to Laal Maas and Rogan Josh. Here are some sumptuous nonvegetarian dishes which you can prepare at home: MUTTON KORMA This is a delicious mutton curry in which meat is stirred with ginger-garlic paste, cloves, curd, cinnamon sticks and cardamom. Ginger-garlic paste is known to be highly effective in treating pain and inflammation. The fat present in saturated fat in goat meat is less than the amount of unsaturated fats it possesses, which enhances blood cholesterol levels and steadies heart rhythms. The dish is also a major source of vitamin B which can help you to burn fat. The creamy gravy, prepared using a variety masala, cashew nut paste, rose water and saffron lends a unique aroma to the dish. CHICKEN 65 One of the most popular chicken recipes from down south, Chicken 65 originated in Madras. A perfect starter for parties, this chicken dish is prepared using garlic, curry leaves, green chillies and pepper powder. A favourite among people who have a liking for spicy meat recipes, this dish is a major source of nutrients such as carbohydrates, dietary fibers, iron and vitamins A and C. The juicy and soft chicken pieces go well with salads. EGG BHURJI MASALA This simple egg recipe is prepared by mixing scrambled eggs with paneer. A popular snack from Mumbai, it is a lively mix of colours, flavours, and spices. Prepared using a combination of whisked eggs, green chilli, onions and tomatoes, the dish is a major source of vitamin C, sulphuric compounds, phytochemicals, and stroke. This recipe tastes best when served with toasted eggs. DUM CHICKEN Well known as Dum ka chicken, this a rich, aromatic dish. The chicken is cooked use a wide range of spices, almonds, and cream and therefore acquires a distinct flavour which all meat lovers would love to have. The use of curd, cashew nuts, cinnamon, cloves and cardamom in the cooking process ensures that you have access to vital nutrients like vitamin B6, C, E, K, minerals, antioxidants, and fiber. HYDERBADI EGG RECIPE This is anÂ authentic egg recipe prepared in Hyderabadi style using eggs. The dish is prepared using a wide range of condiments such as saffron, bay leaf, cardamom pods, cloves and cinnamon which makes it rich in nutrients such as manganese, copper, potassium, vitamin A, B6 and C. So if you are looking for a sumptuous dish which is packed with nutrients, then this dish suits the bill perfectly. POMFRET FISH RECIPE This is a fish recipe which can be easily prepared using a wide range of spices. The dish is given a semolina coating before being fried. Pomfret is a major source of lean protein, vitamin B6, vitamin B12, selenium, phosphorus, and selenium. It has a high oil content and can, therefore, be grilled, baked or broiled. The use of spring onions, pepper, and mustard seeds makes this dish a major source of vitamins A, C and K, calcium, and omega 3 Fatty acids. The dish tastes best when served with a sweet and tangy warm cabbage and kiwi salad. Gin Debuts Debuts Original Spring ‘19 Cocktail Recipes This Spring, Brockmans Gin is offering a menu of original recipes that resemble a cornucopia of fruits, flowers and vegetables. All the cocktails are easy and quick to create, involving remarkably few ingredients yet creating complex and mouth-watering flavors. That English Spring garden staple, rhubarb, is full of surprises when mixed with gin and topped with Champagne or sparkling wine, making this a perfect cocktail for weddings or just to celebrate Spring itself. The key element is, of course, the gin like no other Brockmans..
Chill a tall flute glass and wrap a ribbon of rhubarb around the inside of the glass. Add the Brockmans Gin, lemon juice and rhubarb liqueur to a shaker filled with ice. Shake hard then double strain into the glass and top with chilled sparkling wine. Forbidden fruit combines fruit juices with seeming innocent fresh mint– innocent until mingled with Brockmans gin and Prosecco while Berry Breeze highlights the tart, crisp taste of cranberry married with fresh grapefruit and lime juice. Brockmans Gin, the gin like no other, brims with blueberry and blackberry notes, has a hint of bitter-sweet Valencian orange peel and coriander and includes other exquisite botanicals such as angelica, lemon peel, liquorice, almond and orris as well as, of course, Juniper berries. Combine all the ingredients and 5 mint leaves in a shaker with ice. Hard shake and double strain into a chilled coupe glass and top with Prosecco. Garnish with a twist of grapefruit zest and a mint leaf or sprig of mint. For more deliciously smooth Brockmans Gin Cocktail recipes, visit www.brockmansgin.com.quality and the right aging process—you won’t regret it. A good quality tequila is a great pantry item and a fantastic beverage on a casual hot day. It’s time to give this misunderstood drink another try; you will see what you have been missing. NEWSintheIDUSTRY Mexico events take on a whole new meaning as The Villa Group Resorts in the nation’s leading travel destinations host a series of gourmet festivals that range from food and wine festivals to homages to authentic Mexican cuisine and culture. The Chicago Marriott Downtown Magnificent Mile (540 N. Michigan Ave.) announces the opening of Reviver, the new contemporary bar that is a component of the hotel’s completed lobby renovation--featuring upscale shareables, large plates and an inventive beverage program with a variety of cocktails, including several zero-proof options. with new, inventive and delicious cuisine. and you may just find the money so good that you have a new career. is the best way to get started? Well to start you need a good resume. It needs to be different and highlight your personality, not just your work experience. People eat and drink at restaurants because they wish to be social, otherwise they’d sequester themselves at home. Restaurant owners want people that are personable, who are comfortable in the spotlight, because when you are serving a big group, you will be the centre of attention. Smiling, a good sense of humour and wit are all important tools as a server or bartender, so make them obvious on your resume. Otherwise, highlight your professionalism and work ethic. Here is an example of a bartenders resume to get you started. Also you create your resume, tailor it to each restaurant or bar you apply. Don’t send the same resume to a hip hop club that you’d send to a fine dining restaurant. You also have to be well groomed. Sorry, nobody wants to eat their meal around someone who smells like sour yogurt or looks like they just rolled out of bed. Being well groomed is directly related to your income potential, so take it seriously. Owners of these businesses will also judge you based on how you look. Even though this may sound shallow and judgmental, you are in the service business and most people, especially those that tip really well, don’t want to be served by a slob. If you are apply for jobs on a particular day, go out and treat yourself to a clothing make-over and haircut, then hit the restaurants and bars with your nicely designed resume. Once you have the job, the best way to make a living as a server or bartender is to make the job a profession. Even if you are just going to be employed in the food and beverage industry until you are finished school, taking your position seriously and being an absolute professional with garner you a significant wage increase. 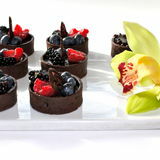 PRODUCTS Parties usually mean that food and drinks need to be served in abundance. While most parties serve the drinks in cups and glasses from waiting bottles you can find other ways of serving these beverages. One item which will serve as a way to serve drinks and provide a feature at your party is that of champagne fountains. Champagne Fountains These decorative items will look good when they are placed on the center of a table surrounded by many glasses. You will see that the fountain is made from food grade stainless steel. In general you will find that these champagne fountains have about 3 to 4 tiers. To make the fountain work you will need to fill the middle canister with punch or champagne. The pump which operates the fountain will cause the liquid which is in the fountain to flow up and out of the fountain. You will see that as the drink fills the first tier up it is then allowed to overflow into the next tier. From here you will see the reason why these fountains are given the name champagne fountains. As the drink falls to the next tier it resembles a water fountain. It is for this reason that you will find these champagne fountains being used as attractive table decorations. Even though you can use alcoholic beverages and punch drinks in the champagne fountains there are some drinks which are best avoided. The first drinks that you should avoid putting into the champagne fountain are that of fruit filled punch or fruit drinks. Since the fruit pieces which are in the drinks are small chunks they can become lodged in the pump. It is for this reason that you will find it best and sensible to use beverages which don t use and fruit pieces in the drink to add a punch excuse the pun to your taste buds. Since you will be serving most of the alcoholic drinks, punches and fruit drinks in a chilled state it is best if you prepare them for serving before the occasion. This is a good idea because while champagne fountains can help as a decorative look and serving of drinks they will not chill the drinks in question.The many places where you can buy or hire the easier option will provide you with a selection of champagne fountains. You will see that by getting one of these you have found the perfect item to male any party or festive occasion even more entertaining than usual. 1. MAKE YOUR HAMBURGER FLAVORFUL Admit it, fat is just what adds the bulk of the taste in hamburgers. High-fat meat will result to juicier hamburgers, yet they additionally have the tendency to become smaller faster while on the grill. Choose coarsely-ground beef or pork when buying meat as they will result to juicier, more delicious hamburgers with a pleasing texture. You could additionally decide to add just about anything to the meat for even more taste-- fresh herbs as well as spices, flavoring mixes, cheese, sauces, or even various other sorts of meat such as crumbled bacon or minced ham. 2. LEAVE OUT THE SALT Many beginners would certainly souse raw meat with just salt and pepper. While that may work for some, professionals recommend to leave the salt out when flavoring hamburgers. Combining salt with the combination will just dry out the meat, as salt has the propensity to extract moisture from meat. If you must add salt to your hamburger, spray just a little on the patties just before they hit the grill. Otherwise, don’t add salt entirely, specifically if you don’t plan on grilling the patties immediately. 3. ALLOW A LONG TIME FOR MEAT TO SOUSE The idea of smoked hamburgers will make you want to prepare as well as eat the meat immediately-- yet it takes time to achieve perfectly-grilled juicy hamburgers. Cool your hamburger combination for numerous hours so that the flavors will blend completely as well as the meat will be able to absorb it. Cool the combination over night if you can. After blending your selection of flavoring with the meat, form patties with slightly wet hands to keep the meat from adhering to them. Separate the patties using wax paper when piling them on a plate, then cover with plastic wrap just before storing them in the fridge. 4. KEEP IN MIND THAT THE THICKNESS OF THE HAMBURGER MATTERS Forming the patties too thin or thick greatly has an effect on exactly how your hamburgers will prepare. Patties with a 3/4-inch thickness is most perfect as they are not too thin to keep taste yet not too thick to become overwhelming when consumed. Likewise, hamburgers have the tendency to inflate in the middle while food preparing on the grill. To prevent this, use a knife to make small indentations in the center of the patty. 5. FLIP YOUR HAMBURGER JUST ONCE Flipping your meat on the grill is exciting specifically for an amateur. Nonetheless, it is advised to turn the patties not more than once so that they would certainly prepare uniformly. Recipe Polaroid: Grill the burgers 2-4 minutes on the first side until nicely browned. Flip and cook on the second side a few minutes more, until desired done ness is reached. FOOD & BEVERAGE PAIRING A lot of people believe that pairing food with drink means wine as pairing food with beer seems quite unsophisticated. But, this isn’t true at all. Once you start, you’ll find that your beer pairs well with a lot of food items instead of just hot wings and your local pub’s pizza. If truth be told, as compared to wine, beer is far more congenial for many foods. • For instance, if it’s a fruity or sweet dessert, then you should go for a pale beer brewed with the fruit like a Belgian raspberry beer (framboise lambic) or an apricot wheat beer. • If you’re going to have a grilled steak at dinner, then you should go for beers with similar flavours such as porter or a rauchbier to make the perfect combination. Contrast –You can also contrast beer’s flavour against the dish which could be more satisfying and memorable. • You can pair up an Indian dish or spicy Thai with a sweet and subtle American wheat. This pairing could balance out some of the hot meal flavors. If you’re having mild meals such as the traditional Thanksgiving turkey, you can pair it with flavor-filled brown ale or Oktoberfest, which has taken out from beer fridges. Cleanse – Now comes the easy part because carbonation makes some beers ideal choice to cleanse out the palate. When it comes to the rich and fatty foods like barbeque and pizza, they made the best pairing with pilsners due to the carbonation. Just think of the beer’s cleansing role similar to serving a refreshing sorbet between the meals. It has entirely changed the purpose of beer from being just a beverage with cleansing the mouth. choose the beer with a similar profile as that of a dish. Gone are those days when people used to only look for the coffee no matter which flavour they used to get. Now people have preferences of different taste quality and flavours. Coffee is the world’s most highly consumed drink. One of the most important factors that place a huge effect on the taste of a coffee is the way it is brewed. Having an in-depth understanding of these brewing methods play an important part to set a foundation for most popular coffee drinks available all around the world offered by coffee bars and cafe. It will greatly improve your knowledge and eventually lead to success. Methods to Brew Coffee Coffee beans are harvested and roasted then they are ready to be converted into liquid. The most famous brewing method is through a French press, Espresso Machine or drip coffee maker. One should have an in-depth understanding of these three methods to run a coffee bar or a cafe successfully, as each method produces different flavoured coffee and has a different brewing time and level of caffeine in the drink. Drip Coffee Maker Coffee that is brewed with a drip coffee maker is brewed with a paper filter which contains coarse, ground coffee beans with boiling water dripped on the top of it. Ground coffee beans are left behind through filter and the liquid is passed through into a coffee pot or a decanter which is used for serving. This method involved more time as compared to espresso machine, as the hot water remains in contact with the ground beans for a long time. French Press French pressed coffee is believed to have a stronger flavour as compared to drip coffee. In this method, oils are mixed from the ground coffee to the mix with water. This drink is intended to ne consumed right after brewing. French press machine contains are cylindrical glass flask with a filter which keeps the ground coffee separate from hot water. When the time comes to pour and serve the coffee, the lever is pushed down to strain and the separate from the brewed coffee. It is important that the coffee grounds should be coarse or medium grind to achieve the best flavour and prevent them mixing with the brewed coffee. In this method, you are able to regulate the water’s temperature o that beans could reach the maximum potential flavour while brewing. Moreover, it is important to place a filter since a pressing screen is placed in an end for the separation of the ground coffee beans from the brewed coffee. Espresso Machine In the espresso brewing method the texture￼ , flavour and the sizes or the ground coffee beans are different from the above two methods. Espresso coffee involves finer ground beans than French and drip coffee. The ground coffee beans look like powdered sugar which are brewed with the use of espresso coffee machine. The ground coffee is placed in a portafilter which is a part of espresso machine attached to the gasket of the machine. The brewing process starts when the water is pressurized through the ground coffee to form a liquid. These machines forcefully pass hot water through ground coffee at a fast speed and one shot of espresso takes around 20 seconds to brew the coffee. Espresso coffee has strong taste as compared to drip and French pressed and the texture is creamier as it produces a creamy froth called crema. WHEN TO WASH YOUR FRUIT Washing your fruit is recommended for many reasons. Dirt or bugs may be on the outside or in commercially produced fruit pesticide residue may be present. There are times when you should wait until immediately before you serve the fruit to wash. Cherries, both Bing and Rainier, blackberries, raspberries both red and black, cranberries, strawberries, blueberries and huckleberries should all be stored in a clean container in the refrigerator until you are ready to use them. When you are ready to cook with or serve the fruit place the cherries or berries in a colander and gently run them under cool water. Food, Beverage, Hospitality, Hotels, Chefs, Cuisine, Gourmet. Trends, Restaurants. Technology, Grocery, P​roduce, Desserts.